Sometimes it’s tough being an Astros fan in Arkansas. Even though our local team, the Arkansas Travelers, has been the AA affiliate of the Angels for 11 years now, the entire state is still deep Cardinals country. I’ve been in this state for 12 years now myself, and I’ve met exactly two other Astros fans here. I’ve learned to love the Travs in their own way, and Minor League Baseball in general, but my heart will always remain in Houston. The one perk I get here is that the Travs play in the Texas League alongside Houston’s AA affiliate, the Corpus Christi Hooks. The Hooks typically come to town twice a year, so I always try to make it out for at least one of their games to see the Astros of the future. We were out of town the first time that Corpus came here this year, so this past Friday was our chosen date. It turned out to be a lucky choice for me, as Thursday’s game was rained out, so our Friday night tickets became good for a Friday afternoon doubleheader. 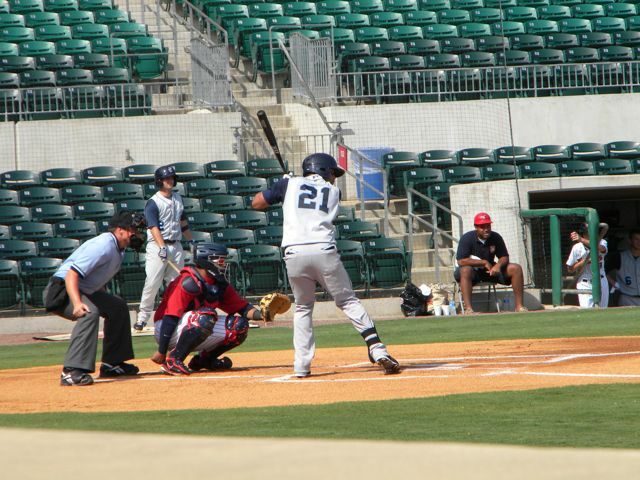 Our seats were in the front row right behind the Travs’ dugout, and I brought our camera along to document the action. The Travelers' outfield of Chris Pettit, Mike Trout & Angel Castillo (l to r) waits for the national anthem before Game 1 of the doubleheader. 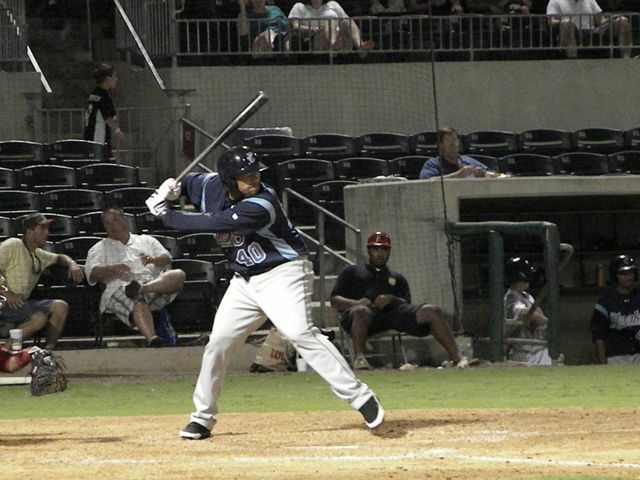 Hooks shortstop Jonathan Villar (acquired last year in the Oswalt deal) leads off the game. 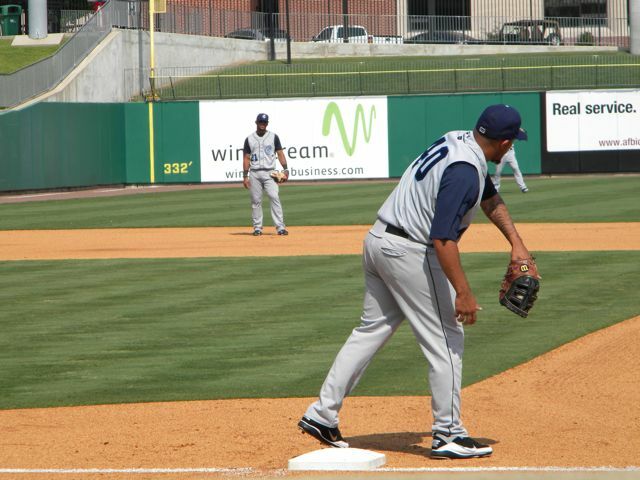 New Hooks first baseman Kody Hinze takes a throw between innings, with Villar in the background. 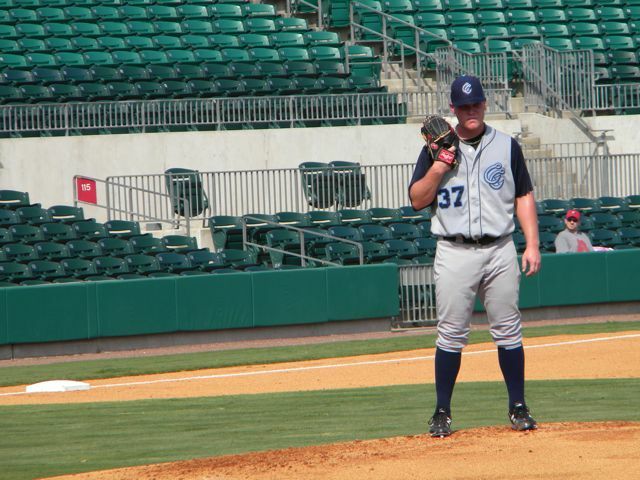 Hooks starter Brett Oberholtzer, acquired from Atlanta in the Michael Bourn trade, prepares to pitch in the bottom of the first. 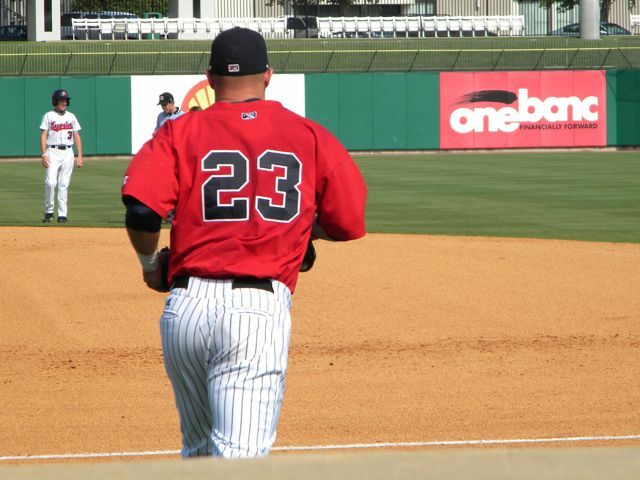 The Angels' top prospect, Mike Trout, takes the field after the first. Kody Hinze at the plate in the second inning. 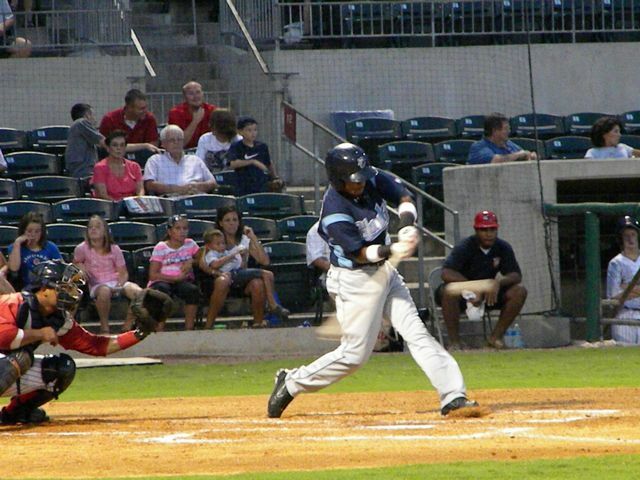 He singled here and later scored the Hooks' first run. 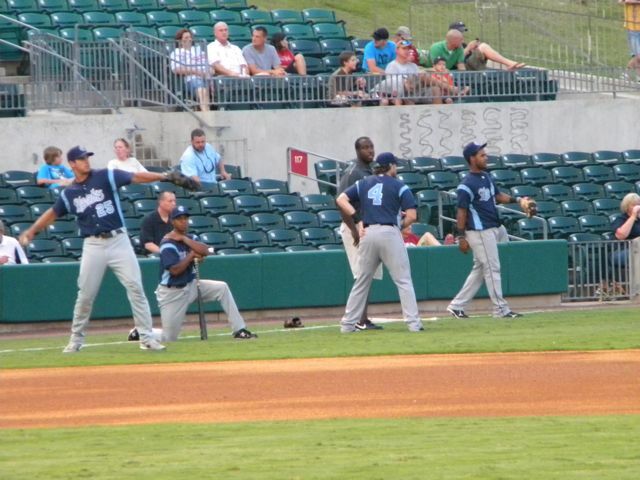 Hooks center fielder T.J. Steele returns to the dugout after popping up. 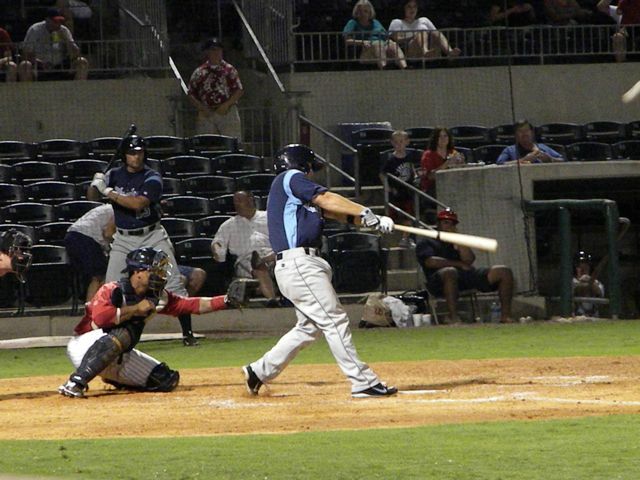 Hooks catcher Brian Esposito prepares to hit in the second. 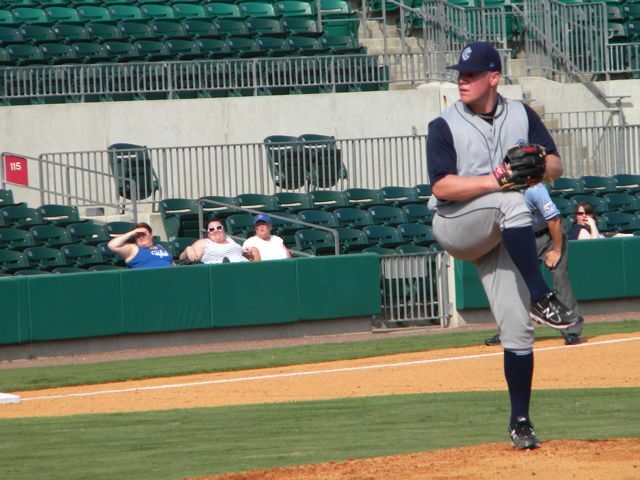 Oberholtzer winds up for a pitch in the bottom of the second. After two hitless innings, he gave up two runs on two hits in the third, then was pulled after a scoreless fourth, ending up with a tough loss. This is Lance. He works for the Travs' front office now, but he's a fellow Houston native and the second of those two Astros fans I mentioned above. 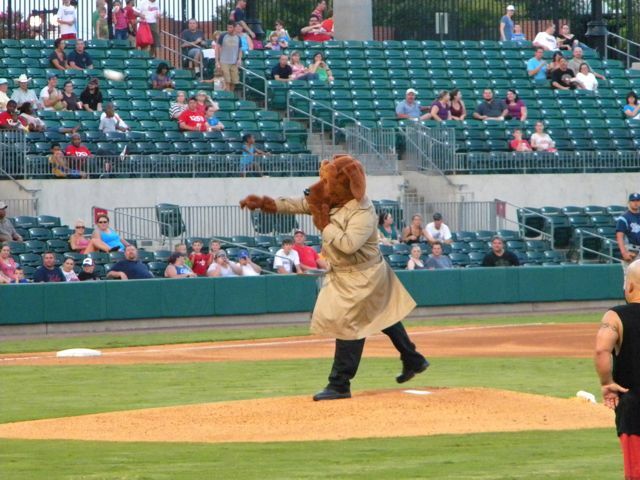 Crime Dog McGruff was on hand to throw out the ceremonial first pitch for the second game. Fred "Crime Dog" McGriff was nowhere to be found. Injured Hooks infielder Jimmy Van Ostrand (#25) is seen here on the field between games. 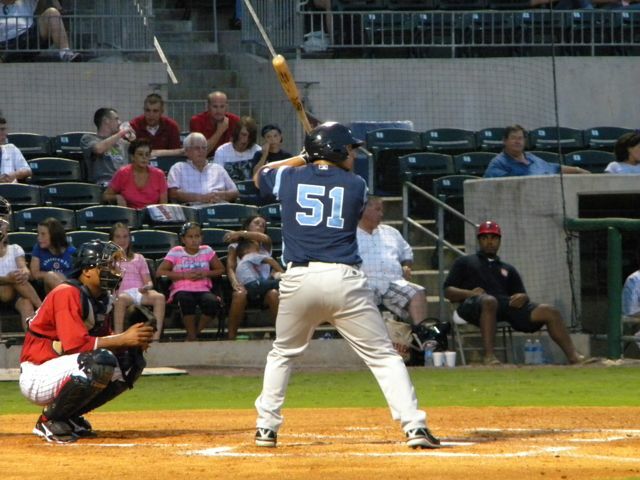 #4 is Hooks outfielder Jon Gaston. 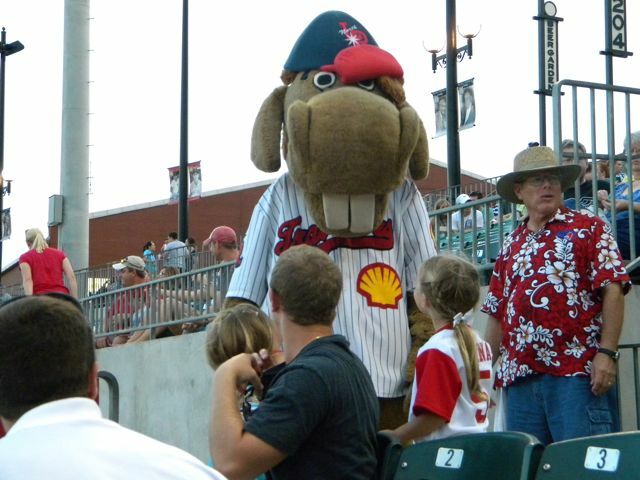 This is Shelly, the Arkansas Travelers' mascot. He ran down a kid in left field shortly after this photo was taken. 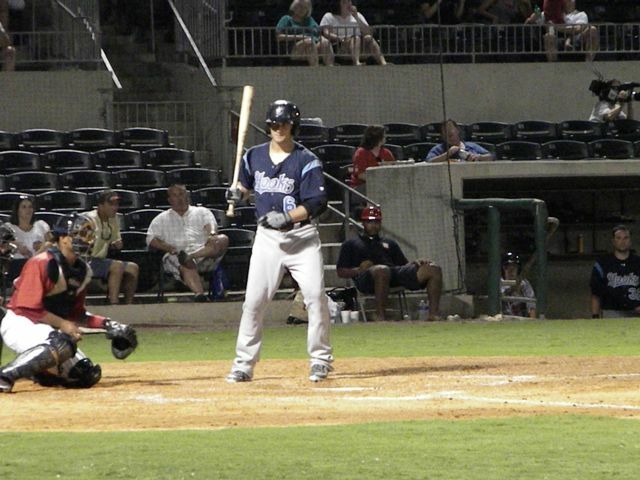 Adam Bailey makes his Hooks debut in the first inning of the second game, after being called up from Lancaster. 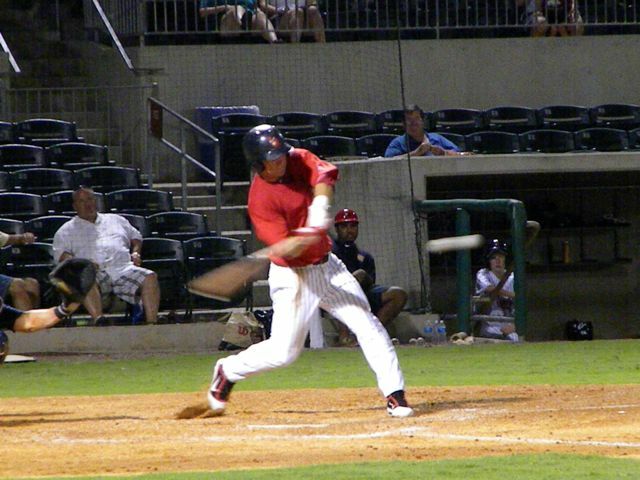 He struck out here, but finished the night 2-for-3 with two doubles. 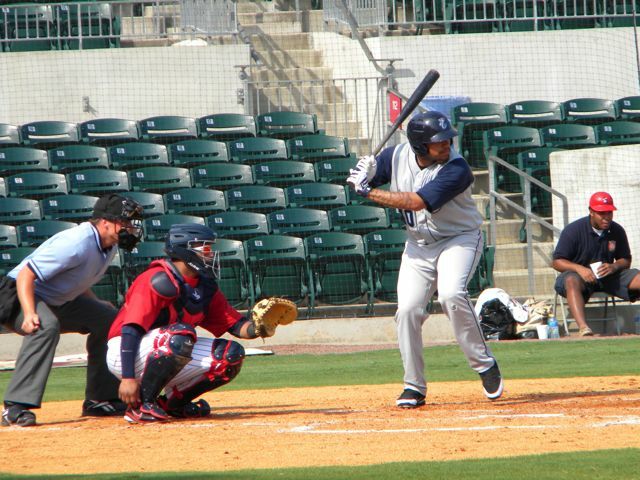 And immediately following Bailey's debut, Jose Carlos Thompson likewise makes his Hooks debut. Hooks shortstop Brandon Wikoff drives the ball to right field in the second inning of Game 2. 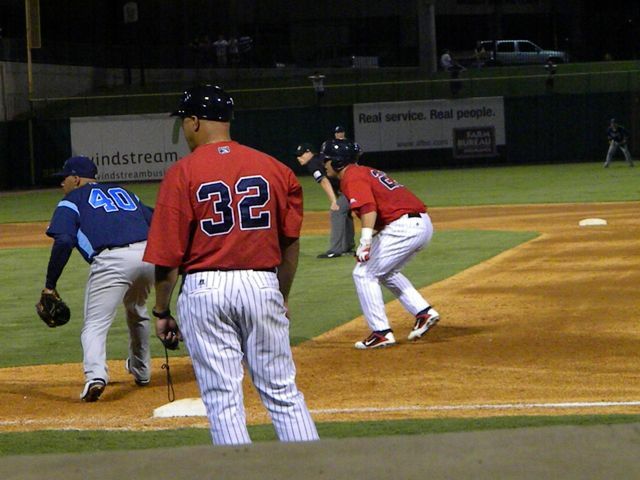 Hooks left fielder Brandon Barnes looks up after taking a ball in the second. Mike Trout takes a swing in Game 2. He would walk, but wouldn't score. Trout on first after walking. Hinze & Trout - two future MLB All-Stars? Hinze at the plate again, in the third inning of Game 2. He flew out here, but finished 1-for-3. 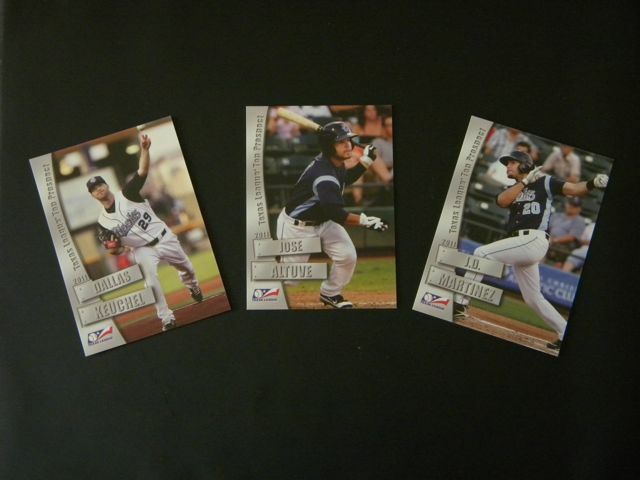 Before leaving, I had to stop by the gift shop to pick up the 2011 Texas League Top Prospects baseball card set. It included these three familiar faces (though now all former Hooks). Unfortunately for the Hooks, they lost both games this night – Game 1 4-2 in a pre-determined seven innings, and Game 2 6-2 after a sudden thunderstorm ended the game at five. Growing up with the Astrodome, this was my first live experience with a rain delay or a rainout, but it was a fun day at the ballpark regardless. Dickey-Stephens Park (named in part for Hall of Fame catcher and Arkansas native Bill Dickey) sits on the north bank of the Arkansas River, and it’s a great place to see a ballgame. These are sad days to be an Astros fan. The first domino has fallen with the trade of Jeff Keppinger this week, and over the next 10 days we expect to hear of several more. I’m on board with that; our Astros, in their 50th season, appear to be worse in 2011 than they’ve ever been before. I feel like it will be a huge upset if they don’t end up beating the 1991 squad for the worst record in Houston history, if they don’t end up over 100 losses and last in the big leagues this year. Admittedly, nothing that happens the remainder of this month will likely be quite as depressing as the weekend before July 31 last year, when we learned how it would have felt to see Bagwell and Biggio in opposing uniforms. But as we wait for news about who else is leaving town, and as we wait to face nemesis Carlos Zambrano this afternoon, my mind turns to thoughts of the ways that Brad Mills & Co. can make the remainder of 2011 more exciting than a race for the #1 draft pick. Catcher: We love Humberto Quintero. He’s not Brad Ausmus, and he’s not Tony Eusebio, but we love him nonetheless. Q paired with any available backup on hand is fine; there’s not much wrong you can do here, other than rushing Jason Castro back from his knee surgery. If Castro is legitimately ready to go by September, then I’d love to see him, as Q really shouldn’t be more than a backup. But as long as Jason gets the lion’s share of the starts in 2012, then I’ll be happy. 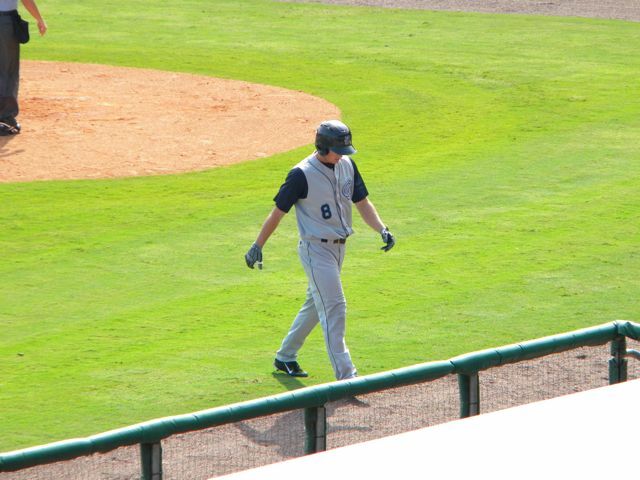 First Base: Brett Wallace. All the way. Let’s start seeing Brick every day regardless, and quit with this Carlos-Lee-at-1B-versus-lefties nonsense. Whether Astros management manages to trade El Caballo, releases him, benches him or just lets him play out his contract, it’s certain that Lee won’t be here beyond September 2012. Brett Wallace will. You’re not gonna win this season, it’s overwhelmingly likely that you won’t win next season either, and Brick is one of the few young talents that Houston has, so let him play and prove for himself whether he’s an everyday guy or only a platoon player. Second Base: Jose Altuve is the brightest spot in the 2011 season so far. I certainly didn’t expect to see him before September at the soonest, or 2012, but I’m all about running him out there every day now that he’s here. I like Matt Downs a lot, but giving him or Angel Sanchez even 1/4 of the starts here would be infuriating. Let’s go, Mighty Mouse!! 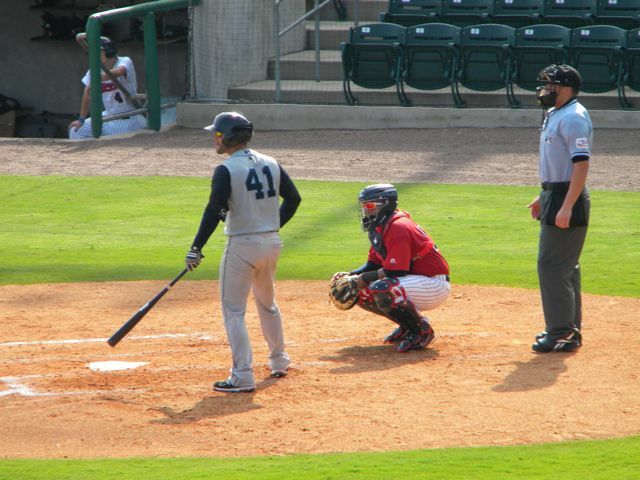 Third Base: I’m a Chris Johnson kinda guy. Sure, I know that his defense is less than great, and his bat has dropped off even more than expected from last year, but his bat has also been a lot better the last several weeks than it was during a dismal start to the season, so his overall numbers are misleading. I know that Matt Downs deserves more time, too, but CJ has not (IMO) played himself out of this job yet. Let him keep it for the rest of 2011, unless he gets awful again, then let him and Downs duke it out in Kissimmee next Spring. Shortstop: This is a tough one. As long as Clint Barmes is here, the job should be his, but I don’t see Clint in our long-term plans. He may not even be in our plans at all (hello, Milwaukee) after the next 10 days. But if/when he’s gone? Angel Sanchez is great off the bench, and I know that Matt Downs is more of a 2B/3B guy than SS, but this is where I’d be inclined to give Downs more time. If you want to give Angel the majority of the starts, that’s fine, but don’t let him take time away from Altuve and CJ. And don’t go back to Tommy Manzella. This is a stop-gap position until one of our middle infield prospects (Paredes? Villar? Mier? …Sutil?) is ready for the Show. Outfield: No one knows what to expect here. I strongly doubt that Ed Wade will be able to send Carlos Lee anywhere, so as long as he’s here, leave him in LF. Michael Bourn is (or should be) serious trade bait, but Hunter Pence’s name is drawing a lot more attention than Michael’s, so who knows if he’ll be moved at all. I really… don’t want the Astros to trade Hunter, but reality is that he’ll likely hit free agency by the time that Houston is a legitimate contender again, and he should fetch better prospects than anyone else on the current Astros roster. So moving him might be the smartest thing that they could do, and I kind of expect now that it will happen. I’d really like to see Bourn traded, too; he’ll hit free agency – under Scott Boras – a year before Hunter, so you’ll probably get more for him now than next year, when he would be a “rental.” Jason Bourgeois is back from the DL today, so assuming that Pence and Bourn move and Lee doesn’t, I’d like to see a Lee-Bourgeois-Bogusevic outfield to finish out 2011. Though I know we’re more likely to see Jason Michaels than Bogey, but I don’t see Jason here beyond this year either, so I’ll be frustrated if they don’t give Bogey the shot. Unless they get somebody back in trade that can play outfield immediately, too. Or they put J.D. Martinez on the Altuve Express and don’t make him wait for a call until El Caballo rides off into the sunset. Summary: Whatever. But just not Michaels. 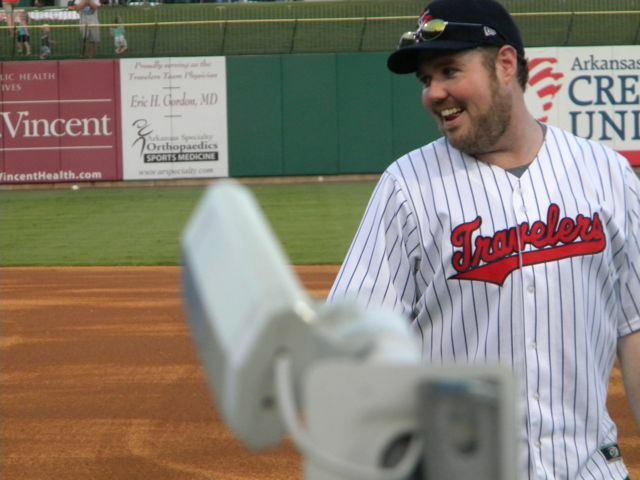 Pitching: Jordan Lyles is the other brightest spot for the 2011 Astros, and I’m thrilled to hear that he’s on an innings limit. If that means we get a month of Nelson Figueroa or Ryan Rowland-Smith in September, so be it; Jordan Lyles is VERY much a part of Houston’s future plans, so he needs to be protected more than the 2011 squad needs to win one or two more games. Bud Norris has been another big bright spot, better than I thought he’d be, so he should be a part of the grander plan as well. J.A. Happ has been mostly a black hole this season, but he is still young, so there’s no harm in continuing to run him out there and hope that he figures it out. Really though, we might see a lot more of Figgy or Hyphen before September, because I don’t expect Wandy or Brett Myers to be wearing Houston pinstripes after next week either. So let’s move Aneury Rodriguez back to the rotation and see what he’s got. Old or not, I’d love to see Andy Van Hekken get a shot. Then if you need a starter after those two guys, give Figgy or Hyphen a call. Of course trade acquisitions are the wild card here, too, but based on who we know we’ve got, I’ll be happy to finish the year with Aneury and Andy at the back end of the rotation. I know that I haven’t touched on the bullpen, but that’s been so fluid for the last few years that I hesitate to name names. I like Mark Melancon a lot, and Wilton Lopez. We know that Brandon Lyon is under contract for next season – fine. He’s good when healthy. But the fundamental point of this whole exercise is to say: Give the young guys a chance. Angel Sanchez is not your savior for the future, nor is Jason Michaels. Nor is Carlos Lee at first base. If we can see more Castro, and Wallace, and Altuve, and CJ, more Bogey and Bourgeois and maybe some J.D. next year, then I’ll be excited even if we lose 100 games again. I know that even all of those guys aren’t likely the long-term answers, but they’re all a step in the right direction until the pipeline on the farm starts a steady flow again. If “these are our Astros,” then let’s make that so and stop giving time to guys that won’t be here when our future Astros arrive.